Make reading part of your child’s bedtime routine with these treasures. The new age fairy tale! 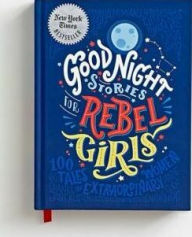 This book is a collection of 100 stories about 100 extraordinary women, inspiring girls to dream big and achieve greatness. Each story is written in the style of a fairy tale and will leave readers feeling inspired and a little rebellious.